This past Sunday, Catholic World Report published a very good review by Conor Dugan of Yves Chiron’s biography of Archbishop Annibale Bugnini, recently published by Angelico Press. The review offers a broad summary of the whole book, as well as an assessment of the liturgical reform in the light of what Chiron tells about the process by which it was created; this section is particularly valuable. 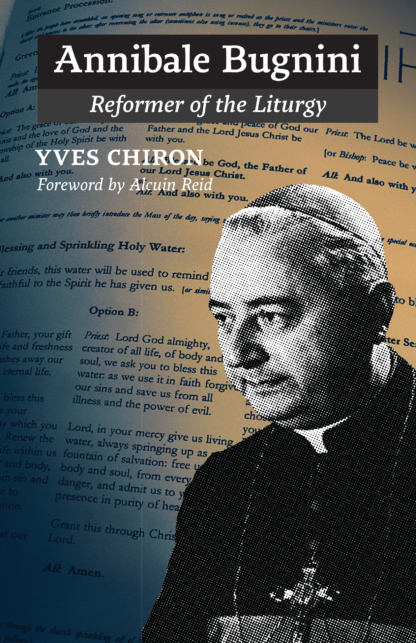 “Chiron’s book provides a helpful vehicle by which to assess, at least partially, Bugnini and his efforts at liturgical reform. If one were to base this assessment simply on output and results, Archbishop Bugnini must be judged a resounding success. ... The reforms directed and overseen by Bugnini have become deeply embedded in the Latin Rite of the Catholic Church. The buzzwords of their articles, talks, and titles of their books betray their biases and presuppositions and suggest that they were not experts on humanity. For instance, Dom Botte’s book describing his inside view of the liturgical reform is titled From Silence to Participation. Bugnini described the transformation of the “inert and mute assembly” into true participants. Such descriptions are a common theme. The liturgical reformers failed to see how silence could be a form of participation, indeed perhaps a deeper participation than the recitation of banal translations. The reformers also seemed unable to credit ordinary lay people with the ability to learn and penetrate the mysteries of the Mass as it was already being celebrated. If these people could not “understand” the words, they could not truly worship. Bugnini had to paraphrase the Mass to make it “accessible.” This both assumes that one can really comprehend phrases such as, “Take this, all of you, and eat of it, for this is my body,” and obscures the manner in which mystery and comprehension coincide and overlap. As we begin to grow in knowledge, we realize that God’s mystery is even greater than we ever imagined. As a reminder, Matthew Hazell, who specializes in the study of the liturgical reform, published his own review of it here in December.